UW Medicine WISH and CREST receives Gold Award for Seattle Business Magazine 2019 Leaders in Healthcare, Achievement in Medical Technology. Read the full article in the March Issue of Seattle Business Magazine, or here. The American Urological Association (AUA) has announced the recipients of its 2019 AUA Awards Program. Each year, the AUA recognizes physicians, researchers, educators and other individuals for their outstanding career contributions to the field of medicine, the specialty of urology and the AUA. These individuals will be recognized at the AUA’s Annual Meeting in Chicago, IL next May. Dr. Robert Sweet, Executive Director of WISH, received the distinguished contribution award for 2019. For further details and to read the full article from AUA please click here. Please click here to learn more about this exciting new opportunity at WISH and to apply. Robert Sweet, a urologic surgeon with the UW School of Medicine, is among a group of 91 esteemed surgeons from seven countries selected into membership or associate membership in the new American College of Surgeons (ACS) Academy of Master Surgeon Educators™. The Academy’s first induction ceremony occurred on October 3 at the John B. Murphy Memorial auditorium in Chicago. Dr. Sweet is a Professor of Urology at the University of Washington. He serves as a provider with a focus on treating and preventing kidney stones, as well as the Medical Director of the University of Washington Medicine Kidney Stone Center. 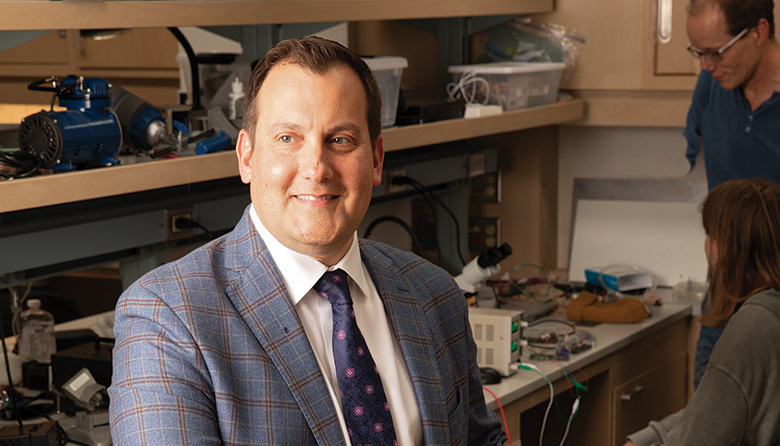 He is also the executive director of the WWAMI Institute for Simulation in Healthcare (WISH) and the Center for Research in Education and Simulation Technologies (CREST). 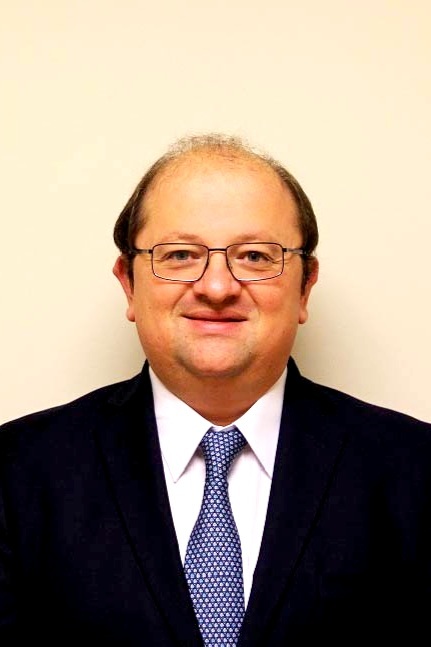 He is the Principal Investigator of numerous simulation research and development projects. Dr. Sweet has served in leadership positions in simulation and education within the American College of Surgeons, the Society for Laparoendoscopic Surgeons, the Endourology Society and the American Urological Association. He helped develop the Surgical Simulation Fellowship Accreditation Program for the American College of Surgeons (ACS) Division of Education. Dr. Sweet has been involved in the founding of the University of Minnesota’s SimPORTAL and the University of Washington WISH. Developed under the auspices of the ACS Division of Education, the Academy recognizes surgeon educators who have devoted their careers to surgical education. Individuals are selected as Members or Associate Members following stringent peer review. The Academy’s mission is to play a leadership role in advancing the science and practice of education across all surgical specialties, promoting the highest achievements in the lifetimes of surgeons. Academy membership carries an obligation for commitment to the Academy’s goals, which are to identify, recognize, and recruit innovators and thought leaders committed to advancing lifelong surgical education; translate innovation into actions; offer mentorship to surgeon educators; foster exchange of creative ideas; disseminate advances in surgical education; and positively impact the quality of surgical care and patient safety. “With highest quality patient care through education being the paramount theme of the American College of Surgeons, the establishment of the Academy of Master Surgeon Educators is an important new chapter for the ACS, the world's largest organization for surgeons," explained L.D.Britt, MD, MPH, DSc(Hon), FACS, FCCM, FRCSEng(Hon), FRCSEd(Hon), FWACS(Hon), FRCSI(Hon), FCS(SA)(Hon), FRCS(Glasg)(Hon), past president of the ACS, and co-chair of the Steering Committee of the Academy. Meeting the health care needs of our region, especially by recognizing the importance of primary care and providing service to underserved populations; advancing knowledge; assuming leadership in the biomedical sciences and in academic medicine. The School works with public and private agencies to improve health care and advance knowledge in medicine and related fields of inquiry. It acknowledges a special responsibility to the people in the states of Washington, Wyoming, Alaska, Montana, and Idaho, who have joined with it in a unique regional partnership. The School is committed to building and sustaining a diverse academic community of faculty, staff, fellows, residents, and students and to assuring that access to education and training is open to learners from all segments of society, acknowledging a particular responsibility to the diverse populations within our region. The School values diversity and inclusion and is committed to building and sustaining an academic community in which teachers, researchers and learners achieve the knowledge, skills and attitudes that value and embrace inclusiveness, equity and awareness as a way to unleash creativity and innovation. The American College of Surgeons is a scientific and educational organization of surgeons that was founded in 1913 to raise the standards of surgical practice and improve the quality of care for surgical patients. The College is dedicated to the ethical and competent practice of surgery. Its achievements have significantly influenced the course of scientific surgery in America and have established it as an important advocate for all surgical patients. The College has more than 80,000 members and is the largest organization of surgeons in the world. 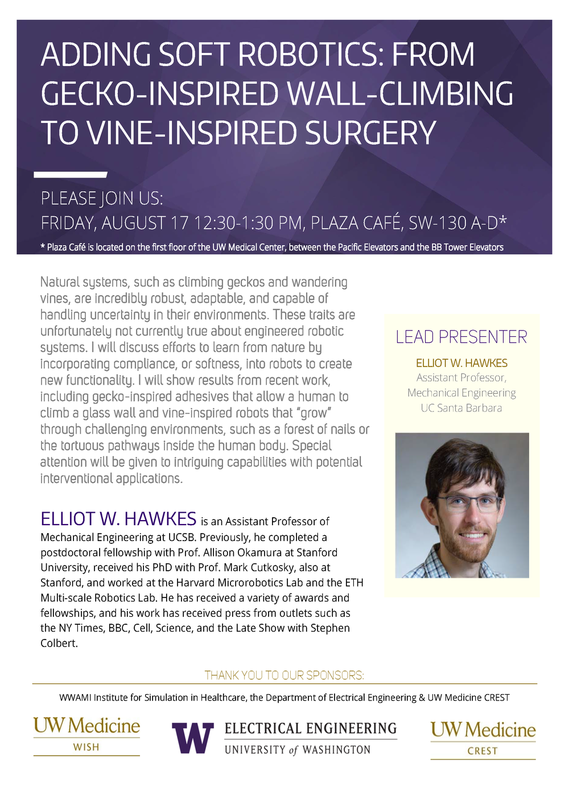 For more information, visit www.facs.org. Announcing the 2018-2019 WISH Clinical Directors! Please join WISH in congratulating our newest 2018-2019 WISH Clinical Directors! We have some returning faces and some new additions to our Clinical Director team this year. We look forward to working with them to continue to advance the quality of WISH offerings across UW Medicine in the coming academic year. In what year did WISH open its current UWMC Surgery Pavilion location? Submit answers to Ashipman@uw.edu or visit any WISH location to see if you’re right, and come claim a prize! As part of Healthcare Simulation Week 2018 we are launching our brand new mobile cause page! To learn more about the importance of simulation and the impact it can have please click here! 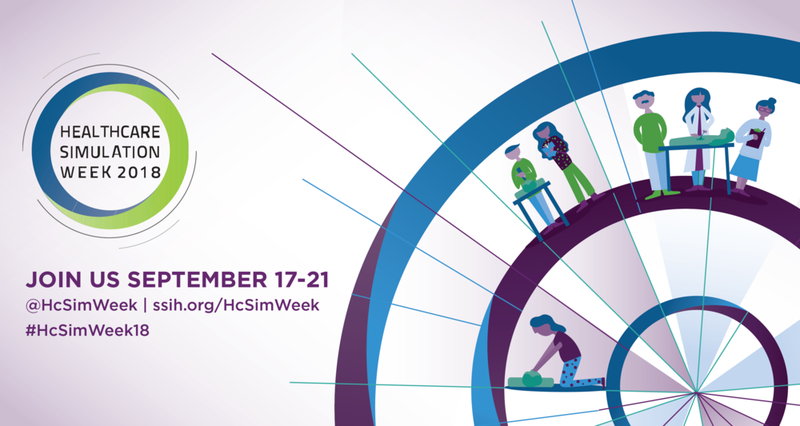 Join us for Healthcare Simulation Week 2018: September 17-21! WISH will be celebrating Healthcare Simulation Week again this year with events at all three of our sites from September 17-21. See below for detailed event descriptions and schedules. Curious about WISH? Want to learn more about how to get involved or how WISH might help support your educational goals? Come on over to WISH and meet our team! WISH is all about the healthcare professionals we support. Stop by, say hi, have a slice of cake or a treat, and let us thank you for everything you do to advance healthcare education! SimMan is hiding around UWMC…find and return him to WISH UWMC (Surgery Pavilion) to win a prize! All Week – Find Sim Man! Follow along! Event postings and updates throughout the week. Starting Monday, 9/17, find a simulation trivia question on our website and come to WISH with the answer for a prize!